White uPVC profiles have always taken precedence in being the foremost choice for any architectural design. Off late, a trend for coloured and laminated uPVC profiles has seen a rise in the Indian market. Choosing the right colour and texture of the uPVC profiles is the first step towards designing an aesthetically pleasing space. 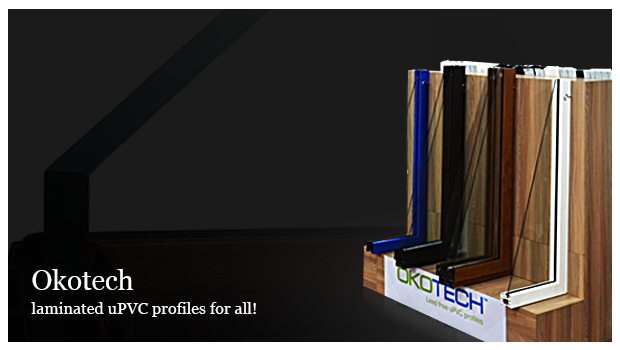 Okotech understands this rising trend and hence gives you a wide variety of laminated uPVC profiles to choose from. Inspired by nature, we offer a huge range of alluring and captivating laminated uPVC profiles in different colours and textures. The wood finished laminated Okotech uPVC profiles are ideal for uplifting the visual appeal to any infrastructure. The authentic colours are mixed with wood grains, which bring out a brilliant look and fit the design requirements of all. The wood grains in the laminated uPVC profiles give it a look and feel of 100% natural wood. The laminated uPVC profile choices provided by Okotech are Mahogany, Walnut, Golden Oak, Dark Oak and Rustic Oak. Along with these options, there are more laminated uPVC profiles available with us. Any architectural structure looks very different and rather more poignant with coloured and laminated uPVC profiles. Other than giving off the natural wood-finish, these textured uPVC profiles upscale the look of any premise. They put out a grand and highly premium look. Our laminated uPVC profiles are very sleek and are designed to please the eyes. All of Okotech’s uPVC profiles have a great surface finish, which is due to the use of the superior raw materials in their compound mix. Hence there is hardly any maintenance required. It maintains its premium gloss and does not require any repainting. This diminishes the worry about laminated uPVC profiles requiring re-painting every once in a while. All of our laminated uPVC profiles are weatherproof. They are water resistant and will ensure that no water, dust and dirt come into your homes. They can withstand extreme weather conditions without denting, distorting the laminated uPVC profiles. They will still look as good as new. All of our uPVC profiles are eco-friendly and are lead-free as well. We believe in keeping the earth a little greener and hence adhere to the strictest European Greenline standards.